Vintage Sheaffer Imperial 550 fountain pen from the Imperial line, circa 1970s. Cartridge/converter filler in black with gold plated trim. Extra fine semi-flexible 14k inlaid nib. Excellent condition, working well. 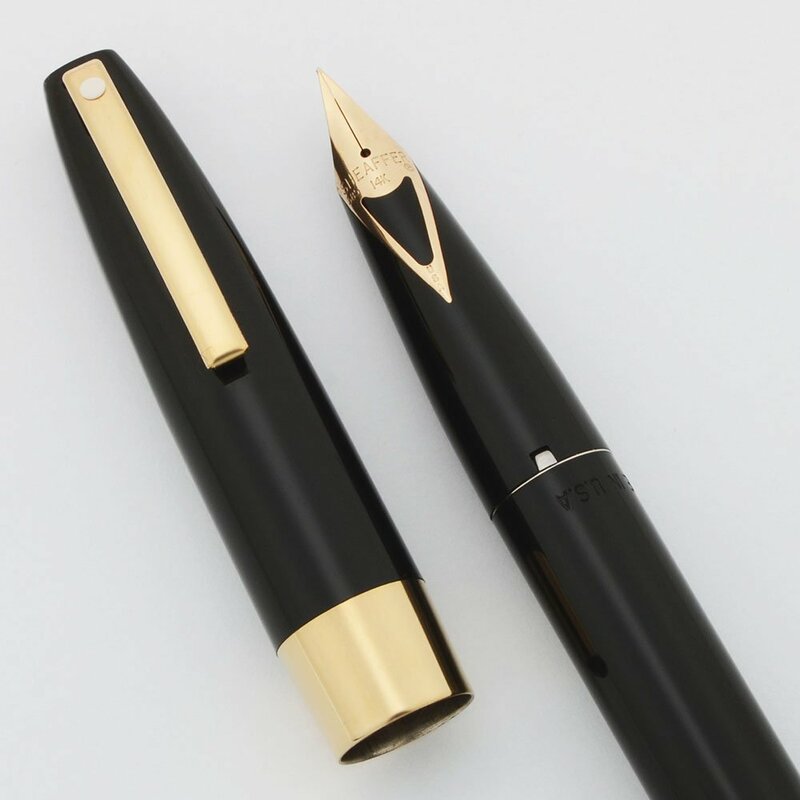 Type Vintage cartridge/converter filling fountain pen. Product Name Sheaffer 550 -- a white dot pen from the Imperial line. Towards the end of the Imperial era Sheaffer started producing the Imperial IV with a cartridge filling system, and it eventually evolved into the Sheaffer 550 which had a shorter clip and a V-inlay style nib. Manufacturer and Year Sheaffer, made in USA -- circa 1970s. Color Black plastic barrel and cap with gold plated trim and a 3/8" wide cap band. Nib EXTRA FINE Sheaffer's inlaid 14k nib is smooth. V-inlay style. Soft feeling with some give, so you get a little line variation. Condition Excellent condition. There's minimal scratching and wear, and the plating looks very good. No cracks or chips, dings or dents, or personalization. It's working very well.